Since yesterday I’ve been cheered by reading the UN special rapporteur David Alston’s damning recent Equality and Human Rights Commission report. ‘Is Britain Fairer?’ (See the Guardian, from whom as usual I stole or borrowed the information.) Take child poverty: the rate in the UK is 30% of children. But that number is 50% for black children and 60% for those of Pakistani and Bangladeshi origin. Ethnic minorities are more at risk of becoming homeless, with worse access to healthcare and higher rates of infant mortality. And yes, the EHRC report restates and adds to the UN’s 2014 findings: women are more likely to be in low-paid work, more likely to be child carers, more likely to be the child carer in a single-parent household, and thus more likely to be the child carer of a disabled child in a single-parent household. All this also puts them at higher risk of violence, with a more urgent need for legal aid that has been slashed, and a higher possibility of falling down the cracks of the immigration system. Austerity creates not just poverty, but also what the EHRC calls a “two-speed” society, one where certain groups are trapped, excluded from prosperity. The result is an acceleration of disadvantage. Nearly 400,000 more children and 300,000 more pensioners are living in poverty compared with five years ago. reading rather too much, and getting more than usually confused by, much stuff on fifth century Christianity (but you knew I was obsessed with that) and a new interest, literature on LGBT Palestinian grassroots activism which I think my readers will agree is much more absorbing than the intricacies of Tory infighting. There are naturally several articles in Jadaliyya which draw a firm line, if one was needed, between pinkwashing and pinkwatching, a comradely dingdong which has taken up some space in my sister publication; and I’ve been helped in my understanding, naturally, by Holly Lewis’ ‘The Politics of Everybody’, with its scholarly discussions of what Marx, Engels, Kollontai et al thought – and Holly points out that they thought much more than you thought they thought – of queer identities (inasmuch as they did). All this, as I say, is a welcome relief., after all this hanging about waiting for something, anything to happen on the Brexit front. You’ll naturally want to know about (or rather listen to) the Palestinian queer music – in particular ji2eto Ela Ahli (‘I came to my family’, from al-qaws) and I’ve been trying to incorporate the works of this varied and exciting group of people; and somewhat frustrated by my limited ability to actually reproduce their music, in my own clunky format. I just nonetheless refer you to their pages on “Ghanni A`an Taa`rif” or ‘singing sexuality’, in the hopes that you can find them. I was somewhat appalled to find (but there are always new discoveries to be made, after all) that my sister, after all this time, had been living a mere quarter of a mile from Brewery Road without knowing where it was. That road, where a crucial suicide took place in Samuel Beckett’s Murphy (the landlady having had to decide whether to run to the York Road or Caledonian Road police station to report it) is pretty much at the centre of my mental map of literary London; and I’ve had it on my mind, as an old sweet song might keep Georgia, for over thirty years. But we all have our own obsessions, our tracks along which our minds are destined to run. And who knows what new maps will be drawn by London’s current arrivals? Hard at work they are, at the University of East London, drawing in their minds a new nightmarish country in which, no doubt, London meets Raqqa; and neglecting their more profitable studies on courses in non-abelian categories or antibiotic-resistant bacteria or gender-based violence. to sit and spin yarns for the benefit of idlers in cafes. But who am I to moralise? And where, after Brexit, will this country of the displaced Syrians and Afghans claim as its home? ‘France has been pushing back migrants crossing from Ventimiglia, Italy for years. This practice is illegal. At present, France is only authorized under EU law to carry out terrorism-related checks on what should be an open border. Furthermore, systematic pushbacks of this kind constitute collective expulsions prohibited by the European Convention on Human Rights (ECHR) and the International Covenant on Civil and Political Rights (ICCPR). Lastly, they contravene due process guarantees established by the EU Asylum Procedures Directive and Dublin Regulation, namely the right to make an application for protection, the right to have the responsible EU MS determined through the application of the criteria laid down in the Dublin Regulation, including those based on family ties and on humanitarian considerations, the right to a personal interview and to a reasoned decision; the right to an effective remedy having suspensive effect against a transfer decision. Uncontested for years, the French push-back practice is now becoming a model for other European countries. With local elections in view, the German minister of Interior has threatened to follow France’s lead and push back asylum seekers at the border with Austria. The Austrian Chancellor promptly followed suit, announcing border closures with Italy and Croatia while advocating, with an exceptionally bad choice of words, for an “axis of the willing” between Germany, Austria, and Italy against illegal migration. Meanwhile, in Italy, the new government decided to flex its muscles and close its ports to boats carrying migrants rescued in the Mediterranean. In short: minimum consensus for reforming the CEAS seems lacking, unilateral measures threaten the integrity of the CEAS itself and of the Schengen travel area, and a humanitarian crisis is unfolding in the Mediterranean due to uncertainty and conflict around points of disembarkation. between Ulster and the Irish Republic? Are the Irish to become barbarians again? We are holding our breath. Bosnia, Croatia, and the newest violent border drawn by the EU. 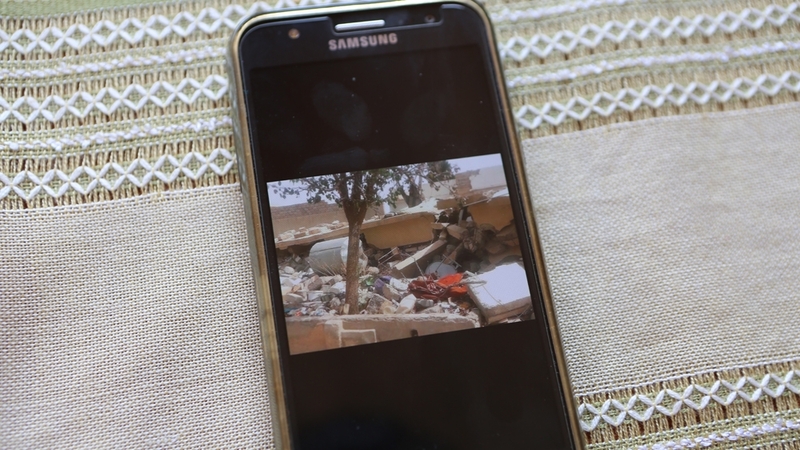 Velika Kladusa, Bosnia and Herzegovina - Brutally beaten, mobile phones destroyed, strip-searched and money stolen. These are some of the experiences refugees and migrants stranded in western Bosnia report as they describe encounters with Croatian police. 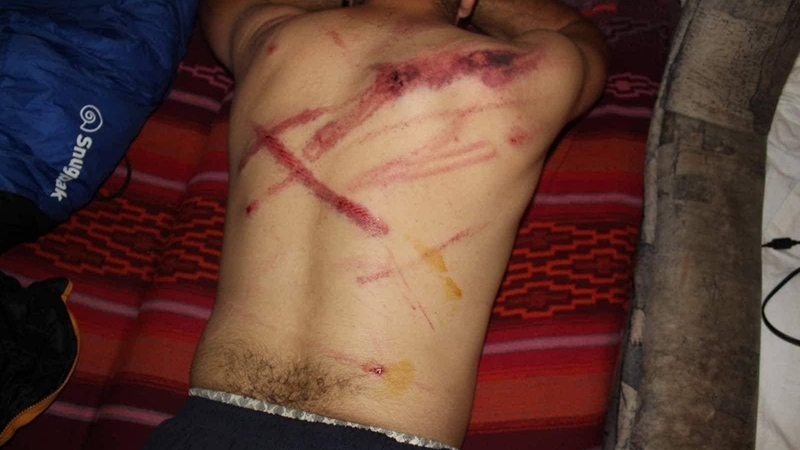 The abuse, they say, takes place during attempts to pass through Croatia, an EU member, with most headed for Germany. 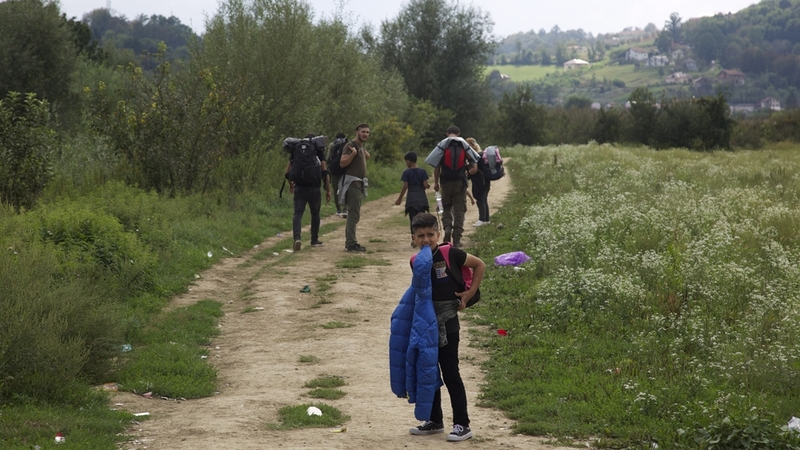 Bosnia has emerged as a new route to Western Europe, since the EU tightened its borders. This year, more than 13,000 refugees and migrants have so far arrived in the country, compared with only 755 in 2017. 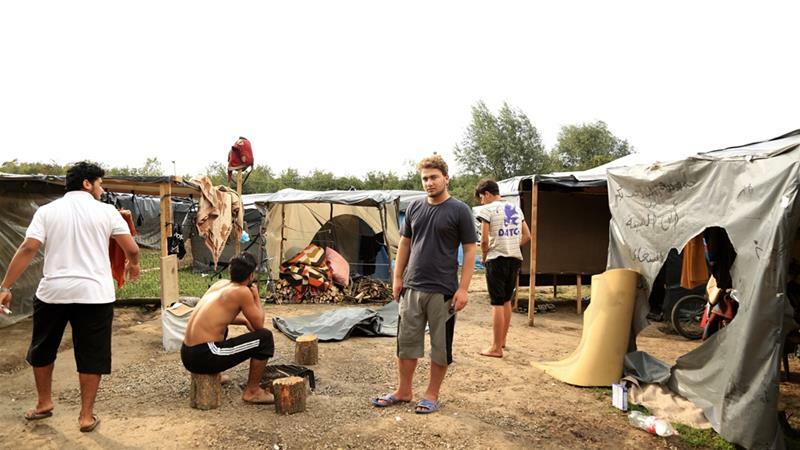 In Velika Kladusa, Bosnia‘s most western town beside the Croatian border, hundreds have been living in makeshift tents on a field next to a dog kennel for the past four months. When night falls, “the game” begins, a term used by refugees and migrants for the challenging journey to the EU through Croatia and Slovenia that involves treks through forests and crossing rivers. However, many are caught in Slovenia or Croatia and are forced to return to Bosnia by Croatian police, who heavily patrol its EU borders. Then, they have to start the mission all over again. Some told Al Jazeera that they have attempted to cross as many as 20 times. All 17 refugees and migrants interviewed by Al Jazeera said that they have been beaten by Croatian police – some with police batons, others punched or kicked. 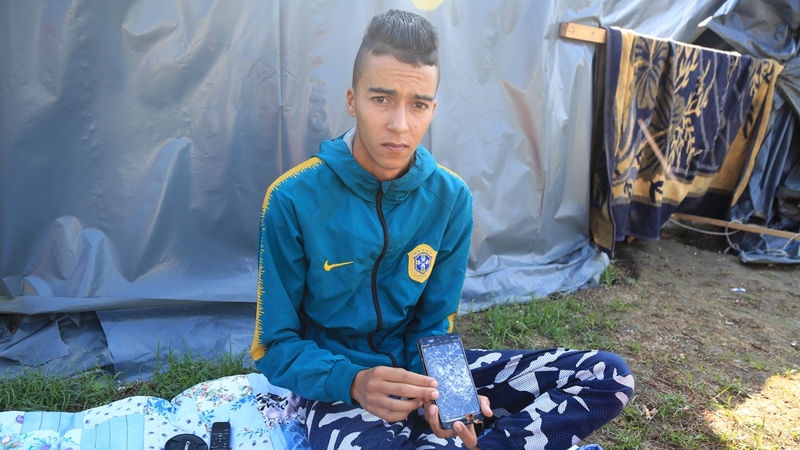 According to their testimonies, Croatian police have stolen valuables and money, cut passports, and destroyed mobile phones, hindering their communication and navigation towards the EU. “Why are they treating us like this?” many asked as they narrated their ordeals. “They have no mercy,” said 26-year-old Mohammad from Raqqa, Syria, who said he was beaten all over his body with batons on the two occasions he crossed into the EU. Police also took his money and phone, he said. Mohammad Abdullah, a 22-year-old Algerian, told Al Jazeera that officers laughed at a group of migrants as they took turns beating them. “One of them would tell the other, ‘You don’t know how to hit’ and would switch his place and continue beating us. Then, another officer would say, ‘No, you don’t know how to hit’ and would take his place. “While [one of them] was beating me, he kissed me and started laughing. They would keep taking turns beating us like this, laughing,” Abdullah said. No Name Kitchen, a volunteer organisation that provides assistance to refugees and migrants on the Balkan route, has been documenting serious injuries on Instagram. In one post, the group alleges that Croatian police twice crushed a refugee’s orthopaedic leg. 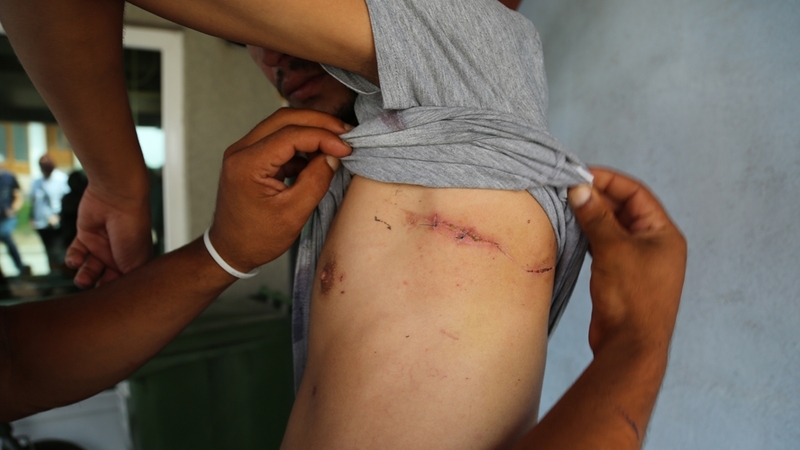 Peter Van der Auweraert, the Western Balkans coordinator for the International Organization for Migration, says he has heard stories of police brutality, but called for an independent investigation to judge how alleged victims sustained injuries. “Given the fact that there are so many of these stories, I think it’s in everyone’s interest to have an independent inquiry to see what is going on, on the other side of the border,” Van der Auweraert said. Or, if only I’d had an editorial subcommittee to blame for the last post’s goofs. The suggestions which have come at me from various directions that I should discard it and replace it, pretending that T’d actually written something else, I discard and despise. I shall have to stick with the confusion between postage stamps and banknotes which even the moderately keen-eyed reader will have noticed; and continue with the written work, in all its imperfections. The ever-faithful Corinne Squire (hi there) forgave the error, read it as if it was OK to write about stamps and gave me some good advice, particularly recalling that there had been a series of stamps in memory of David Bowie; and pointing me to her own much more scholarly blog at https://displacesblog.wordpress.com. Which I’ll leave you to explore. Major Blow to the hostile environment: Docs not Cops. NHS DIGITAL HAS NOW CONFIRMED TO THE COURT IT WILL COMPLETELY WITHDRAW THE DATA-SHARING DEAL made between itself, the Department of Health and the Home Office. When this author’s Genesis appeared a few years back, I was impressed by its bold post-modern approach to narrative. The decision to give two directly conflicting versions of the Creation was an encouraging start; from which much else flowed. We were, at all points, presented with a fractured narrative with constant digressions; the character of ‘God’, a capricious being who was capable of destroying everything he had created in a flood recalled many more recent antiheroes; and similarly for God’s reactions as they’re shown in the fine stories of Noah’s sons, cursed for observing his drunkenness, or of the destruction of the Cities of the Plain. The sacrifice of Isaac in particular, as Kierkegaard has pointed out, is exemplary. in its presentation of God as a dubious and contradictory character. In contrast, it must be said that Exodus comes as something of a disappointment, with a single ‘hero’ and relatively simple linear storyline. The adventures of Moses as a traditional clan ruler follow a fairly routine pattern, the main surprises being God’s role (which has often been pointed out) in hardening Pharaoh’s heart, and the later disturbances around the Children of Israel, the Golden Calf, and the tablets of the law. Apart from these, one misses the boldness, the invention, and the constant disruption in Genesis. It’s tempting to think that the author is trying to appeal to a more popular readership, (‘Let my people Go‘) being the main storyline) and he may indeed be successful. However, in terms of literary craft, this reviewer finds Genesis a more exciting and groundbreaking work. I’m intrigued by a few extracts I’ve seen from the forthcoming sequel Leviticus which suggest that Moses is toying with the idea of abandoning narrative altogether in favour of, one might say, the form of a legal textbook with prohibitions and punishments. We shall see. herpes virus pictured on it to break the monotony of birds, butterflies, famous citizens and what not? I have myself, reader, been out to post a letter at the al-Quds post office on. Salah-al-Din street and survived the rather stressful experience; and I can tell you that if. you were minded to send a postcard from the West Bank, what image you got on the stamp wouldn’t be the first thing on your mind. Of course, those who know me well (hi, folks!) will know that what I’d really like is a series of stamps depicting human rights judgments – I think of ECtHR – Hirsi Jamaa and Others v Italy [GC], Application No. 27765/09 (handing 200 migrants over to Libya), a. neat judgment, comes to mind. But what would be even better in our day and age would be to get the video of the court’s decision (you can, with the judges trooping in in robes) and fix that the stamp played it when the letter was read – I leave the details to my more technologically adept friends. Of course they might prefer to sell a stamp with a picture of say David Bowie which would play’ e.g. ‘Rock’n’ Roll Suicide’ when you read the letter; and I wouldn’t want, or be able to, stop them. I do recall a series of siamps featuring the Beatles, but they didn’t incorporate the features I’ve suggested. But to return to the post, and to set aside for the moment – oh do please let’s set them aside! – Poe’s purloined letter, Lacan’s seminar on its introduction and Derrrida’s discussion of Lacan’s position in his lengthy squib Le Facteur de la Vérité (not one of which seems to make any reference to stamps). What of those posts of which we’re so fond, in Facebook or indeed this one which I’m writing here – equally unstamped? Is the evil Zuckerberg empire phasing out the stamp? Note that when I post 2000 words to tis blog, if I get round to it, I simply click ‘Post’ with no need to pay or get a stamp or anything. But could I opt to ‘buy’ a ‘stamp’ which when I ‘posted’ the letter made a donation to the zakat of my choice? There I think the internet is pretty near to allowing, nay encouraging such behaviour with its constant pop-up windows favouring this or that blameless charity. You will have noticed that I’ve avoided commenting on the recent elections in the Maldives, or indeed in the so-called United States; largely through my huge ignorance of either, although the victories of Native American, Muslim, Palestinian, LGBT etc candidates must be seen as a cause for celebration.I’m hard at work researching both countries in the hopes of providing well-informed commentary, but it would be nice if some organization provided. me with a grant to make me better informed.. Here‘s some music from the Maldives, which as we always know is he best was of learning about a people; if it makes reference to the imminent danger of disappearing under the sea, I can’t make it out. The same goes for those Congressional districts which have been won by Native Americans, Muslims, Palestinians and LGBT candidates. One does keep accumulating them, thinking that an extra two books or two bookcases may come in handy. (I don’t mean just great-aunt Layla’a framed watercolours of Tripoli or uncle Hamid’s carpet-slippers.) And then, when one reaches that final shore, as so many have done on the bank of the Evros river which separates Greece from Turkey, one parts with them, and with one’s life, in a moment. The possessions of the drowned, taken from their bodies on the shoot the Evros, are catalogued in the hope of identification. We think again of boundaries, of so many kinds. In Greek myth, there is a ferryman to carry you over; in the life of many who seek for asylum, no ferryman appears. As ‘Al Jazeera’ reports, The land border between Greece and Turkey, a nearly 200km frontier mostly formed by the Evros, has seen increased traffic since the European Union and Turkey struck a deal to shut down the route into Europe via the Aegean sea. ‘The bodies are usually discovered half naked. They have been in the Evros, the river dividing Greece from Turkey, for weeks. And the currents or the fish have taken their clothes. Sometimes there are personal effects – a pair of glasses, a chain of beads, a bracelet – that can offer a clue to someone’s identity.But usually they remain unidentified, stored here at a hospital morgue in the northeast Greek town of Alexandroupolis – silent witnesses to the horror of a refugee’s journey. ”It’s very difficult because we have women, we have little boys, girls, we have children,” Pavlos Pavlidis, a forensic pathologist at Alexandroupolis’ general hospital, told Al Jazeera. The UN said Turkish authorities at the land border with Greece intercepted almost 20,700 people between January and September this year, compared to 7,500 reported for the same period last year. According to the UN’s refugee agency, an estimated 4,300 people had arrived this year at the Evros Greek-Turkish land border by the end of October. More than 800 crossed using this route in October alone. And we could see the meticulous Pavlos Pavlidis as the chronicler of these lost lives, who at least piles up the possessions in the hope that he can somehow attach a name to a brooch or a sandal. ‘The present report focuses on the mass casualties of refugees and migrants in the course of their flight. It addresses killings by both State and non-State actors, and denounces a quasi-generalized regime of impunity, worsened by an absence of accurate data on the dead and missing. The Special Rapporteur of the Human Rights Council on extrajudicial, summary or arbitrary killings calls urgently on States to address this human rights crisis by prioritizing the protection of the right to life in their migration and refugee policies. The report presents evidence that suggests multiple failures on the part of States to respect and protect refugees’ and migrants’ right to life, such as unlawful killings, including through the excessive use of force and as a result of deterrence policies and practices which increase the risk of death. Other violations to the right to life result from policies of extraterritoriality amounting to aiding and assisting in the arbitrary deprivation of life, and from the failure to prevent preventable and foreseeable deaths, as well as the limited number of investigations into these unlawful deaths. The report also presents best practices in search and rescue operations and for the dignified treatment of the dead, but points out that States do not implement them as they should, and fail to resource them adequately. The scale of casualties among refugees and migrants demands urgent attention at national, regional and international levels. The report presents recommendations for this purpose. The equal protection of all lives, regardless of migration status, is a central underpinning of the entire international human rights system: it must be upheld in the context of the movement of people and must form the foundation of all governmental and intergovernmental policies.In our modern world, millions are on the move globally, with thousands dying each year as they seek to escape war, persecution, climate degradation, and poverty. Responding in the name of deterrence, governments are exacerbating, not reducing, the dangers faced. Appalled by human suffering, people around the world are stepping up to offer rescue and support, including food, water, medical services, lodging and transportation. The result is that civic humanitarian services are reaching levels not seen since the aftermath of World War II. Governments have reacted by harassing even prosecuting “spontaneous” or organized humanitarian acts. At the direction of the Security Council, governments have instituted counterterrorism legislative frameworks that, given their stringency, potentially criminalize even life-saving medical aid or food relief, and in any case impose chilling effect on the provision of humanitarian aid for people desperately needing help. Various States have also adopted laws or measures preventing or hindering organizations from providing life-saving services to girls, women and LGBTI persons, thus contributing to increased rates of otherwise preventable morbidity and mortality.This report asserts that saving lives should never be a crime. It argues that the failure to exempt humanitarian services from the overreach of punishing policies, active obstruction of the provision of life saving services, and/or criminalization of acts of solidarity and compassion constitute violations of the State’s obligation under the right to life. Any deaths that may be attributable to such measures amount to arbitrary deprivations of life which engages the responsibility of the State.’ Fighting talk! Will we see action to follow it up? Digression: You’ve asked: ’Is ‘Becks Blue’ halal or haram? An number of my friends have become quite exercised on the status of the popular ‘non-alcoholic’ beer; turning to the ever reliable Google, I found, naturally, four different answers from different imams. (You’d think were only two, but in religious matters you’d be surprised.) I think that the best advice is to play it safe, whatever that means. Music: I imagine that it’s a suitable place (You can’t be serious!) to incorporate Zorba’s dance, performed by a cast of hundreds in a Greek square. How has the impact of the EU on the Greek economy affects the Zorba’s of this world? You are currently viewing the archives for November, 2018 at Luke Hodgkin.